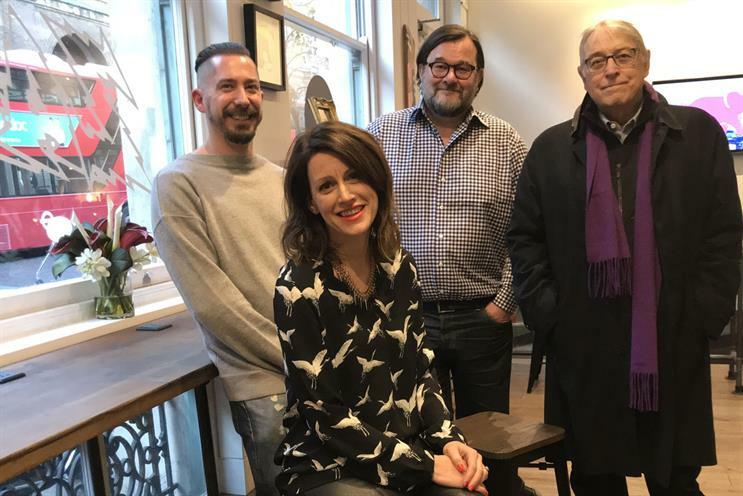 Crispin Porter & Bogusky London has filled its vacant leadership positions by bringing in Bartle Bogle Hegarty's Helen James as managing director and Dan Watts from 4Creative as chief creative officer. The shop has been leaderless since former chief creative officer Dave Buonaguidi, director of operations Arjun Singh, and chief executive Richard Pinder left earlier this year. Watts joined 4Creative as head of creative last August after 18 months as creative director at CHI & Partners. Before that, he spent nine years at Fallon. At 4Creative, he spearheaded the Channel 4 rebrand work with "Superhumans" director Dougal Wilson, along with the broadcaster’s campaign for The Great British Bake Off. James joined BBH ten years ago as strategic business lead, becoming managing partner in 2014. Since last November she has led BBH Live, the agency’s social media unit. Before that she headed up account management, an 80-strong department of BBH, and led the transition of the Tesco business from Wieden & Kennedy. Both James and Watts will start work on 8 January. CP&B’s chairman and co-founder, Chuck Porter, and chief executive, Erik Sollenberg, flew in from the US today (11 December) to announce the appointments to the London office. Speaking to Campaign, Porter said the network had undergone a "long and comprehensive process" to find the right replacements for Buonaguidi and Pinder, describing it as "sort of a reset" for the London office. The last year had seen London spending too much time on creating global work for the network, Porter said. "That’s been good for creative opportunities and revenue, but it’s also distracted them from their home market, the UK. "We’ve not done what we should be doing in the home market in terms of brilliant work for great clients," he added. He said that under James and Watts’ leadership, the agency would be firing to win major UK-based accounts. The new pair are "both just smart as weasels," Porter said. "I love Dan’s work – it’s dazzling. He got out of the traditional agency business for a while; I like that, it’s a good thing. Love his work and his idea of branding. And Helen is just a superstar – everyone in the world would like to have her." Porter said he was confident about the prospects of the MDC Partners-owned agency. "The landscape is good for small and nimble and less good for big and ponderous – so I feel good that our agency in London is exactly that. Those are the kind of organisations that can thrive in a landscape like this." The future of marketing services, he added, was "really interesting and exciting – how much traditional advertising that involves will remain to be seen. Technology is creating new avenues every day." Despite the fervent interest over the last year in Accenture and other business consultancies' move into the territory of creative agencies, Porter suggested there was little that was new about the situation. "I can remember having basically the same conversation 10 or 12 years ago," he said. "Some of them may come up with some good thinking, some of them won’t. "But who’s going to win is who comes up with the best ideas. I don’t view it as an emerging threat, because it’s something that’s been going on for a long long time."